Hi Bluebird Patch teens! Here's an exciting event for all those teens that are pursuing a STEM career. 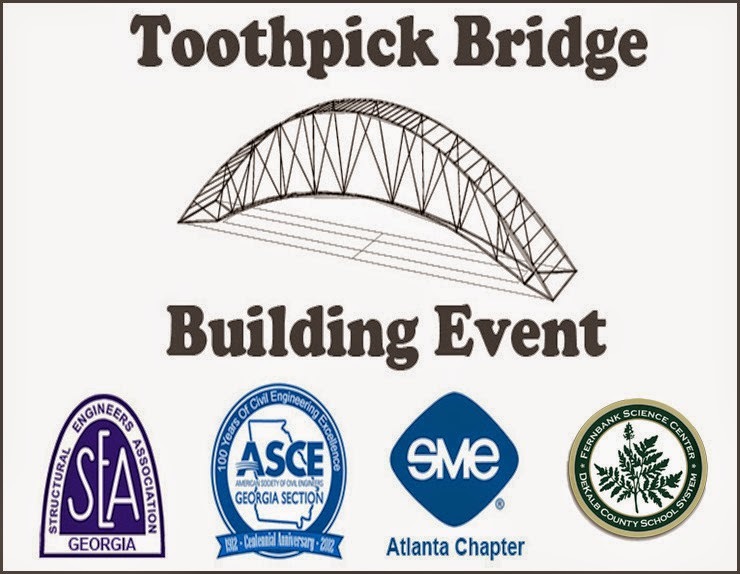 GOAL: To design and build a bridge type structure in one of two categories: Toothpick Category and Open-Materials Category. After entrants have designed and built their bridges, the event provides a convenient, fun-filled place to test them and see how well they work. Participants will build their bridges in advance and bring them to the event. The bridges will be tested to failure (i.e. until they break) to measure their load carrying ability. ENTRANTS: Open To All. Students, parents, sponsoring engineers, and teachers are welcome to submit bridges! Each entrant will receive a certificate with the results of the bridge test, an event T-shirt, and other interesting stuff! We hope that this event will introduce students to careers in engineering.